Here at North Main Music, we offer our students many performance opportunities throughout the the year. 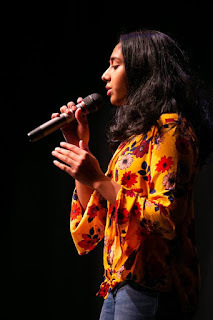 In addition to our bi-annual student concerts, we also have an acapella group and several rock bands who perform both at our student concerts and at community events throughout the Nashua area. And while most people look forward to their performance, it’s only natural that many of them also get a little stage fright. Stage performance is a challenging art form. 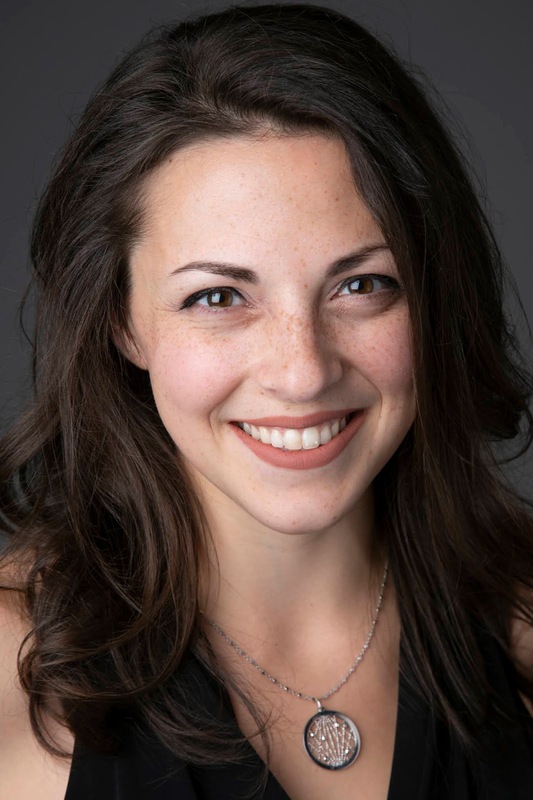 Whether you’re acting out a role in a musical theater setting or playing a solo at an open mic night, the experience can be nerve-wracking even for seasoned performers. It can be even more anxiety-inducing if you’re a perfectionist, as that can breed a fear of failure… and from there, performance anxiety can feel even stronger. Performance anxiety (commonly referred to as stage fright) can devastate a performer’s career and enjoyment of their craft, but it doesn’t have to — performance anxiety is a normal human reaction and a completely curable condition if given the right resources, patience, and support system. This article is a guide to learning how to overcome stage fright. If you wish to understand and improve anxiety issues that are holding you back from giving your best performances, read on! Let’s start with anxiety, which is defined as a feeling or worry, nervousness, or unease about an upcoming event. Most people have experienced some level of anxiety before, during, or after a performance, speech, sports game, or test. Anxiety differs from fear in that fear addresses a present threat, while anxiety is typically felt in relation to something in the future. Anxiety is a normal, healthy human experience and, in small doses, is beneficial in making decisions and in achieving peak success. Performance anxiety (stage fright) in particular is nervousness or unease about a specific future event in which you will be required to execute a task, such as a song— and usually when you’ll be in front of an audience. Symptoms may be present during the task, for weeks or months leading up to it, and sometimes after the event is over. As you can see, this list of sensations is not only unpleasant, but makes performing at your best nearly impossible. Fear of failure becomes a self-fulfilling prophecy. Look at the list of anxiety symptoms, and make a mental check mark next to the ones that you have felt during performance situations. Note when it happened, how often, and any other details you remember. Are your symptoms limited to a specific few, or all of them? Are there symptoms you’d like to solve first as a priority, before others? Now go back next to each symptom that you’ve checked, and rate it on scale of 1-10 as to how severe it felt (1 being hardly felt it, 10 being you felt it so much you couldn’t concentrate on anything else). If you are seeing numbers in the 1-4 range, it’s likely that you are experiencing normal, healthy jitters that can actually add to your performance by making you more focused. If you are seeing numbers in the 5-10 range, you are experiencing moderate to severe stage fright and should read on to discover strategies for improvement. Before you can properly map a route to overcome stage fright, it’s important to know where you’ve been — and what has caused stage fright in the past. Let’s look at some of the reasons why you are experiencing stage fright, how they might contribute to your present challenges, and how you can utilize them most effectively. Start by asking yourself some questions about your performing career, starting from the very, very beginning, which might include childhood memories or more recent situations depending on your age. Recall the first time you performed for an audience, formally. Who was there? What thoughts and feelings do you remember? Were you happy with the outcome of the performance? Was it a positive or negative experience, was it stressful or relaxed? Recall the first time you performed and experienced anxiety (if different from above). What were the circumstances? Who was there? Did you practice or prepare, and how much? If different from #1, what do you think sparked anxiety if there were previous performances that didn’t? Recall the next few times that you performed, after #2 above. Ask yourself the same questions and look for patterns. Recall the 2-3 most recent times you performed. How recent was it? Have you purposely avoided performing in recent circumstances due to fear? Were you with a large group, small ensemble or solo? Were there any post-performance experiences worth noting? From the above questions, look for patterns. Are there any pivotal events that dramatically changed the course of your performance history? Are there any key people, venues, or pieces that contributed to where you’re at today? The next step is re-contextualizing key anxiety triggers so that they don’t continue causing problems. Most people can identify one or two key incidents that left a large impact on their self-esteem. Maybe it was a teacher giving an aggressive critique, a family member telling you not to quit your day job, or a performance in which you froze on stage and ran off crying. At the time you may not have realized the impact of this key event, but in hindsight you can see that it has undermined your confidence and affected your ability to perform ever since. What venue were you performing in? What piece were you performing or practicing? What feedback were you given, either verbal or non-verbal? How did you react? Did you shout, cry, freeze up, or laugh it off? If you responded verbally, what did you say? What did you do after the event? If you could go back and re-live this event, what would you do differently? Is there anything positive that has come out of the negative memory? We’ve spent the preceding sections of this guide processing your past. Now it’s time to move into the present and start thinking about what you can do now, and in the near future, to overcome stage fright. There is no magic formula, unfortunately; you must expose yourself – you must perform, perform, perform, and this is known as exposure therapy. Exposure therapy is a fancy name for the common-sense approach known as “facing your fears,” a technique commonly used by psychiatric doctors to treat phobias of all kinds. However, there is an art to exposing yourself to your fears, and it should be done in careful, small, planned doses that gradually lead up to a major milestone. Exposure ladders are a technique used widely by the medical psychiatric community to treat generalized anxiety, panic disorders, and phobias of all types. An exposure ladder is a list of activities that lead you gradually to a big goal (such as performing on your city’s biggest stage, for example), with activities ranked from least to most anxiety-provoking. An individual will work up the steps of the ladder, moving on to the next step only after mastering exposure to the current step with little or no anxiety. You’ll need to create your own customized exposure ladder, starting with #1, which is your first, tiny little step toward performing — something that you could handle right now, today, with little or no anxiety symptoms. Then you’ll move on to #2, and so on, gradually making steps more anxiety provoking as you go, until you’ve reached a final step which is your final performing goal. You can make your final step as big or small as you want, just be honest with your true performing goals. One precaution: be careful not to create too big of a jump between steps on the exposure ladder. You can repeat a step as many times as needed, in order to master that level with little to no anxiety. Depending on how often you are working on the steps, it might take months or years until you feel you’ve mastered a step, and that’s just fine. Study the example below to help you brainstorm ideas for your own ladder. 3. Record yourself performing a scene or song and watch it without critique. 4. Perform for a supportive partner or friend. 5. Perform a duet or ensemble in front of family or friends at an informal gathering. 6. Perform solo in front of family or friends at an informal gathering. 7. Perform a duet or ensemble at a venue that is higher caliber, like a talent show for your class at school, a neighborhood barbeque, or karaoke at a bar. 8. Perform solo within the same circumstances in #7. 9. Perform with a semi-professional ensemble, such as an audition-only community chorus or community theatre. 10. Arrange an opportunity to perform solo for your peers or an audience, within the group you’ve identified in #9. 12. Continue finding opportunities similar to #11 with gradually higher caliber venues (or even paying gigs!). Find a quiet space, sit or lay in a position that is comfortable enough to sustain for 10 minutes minimum, close your eyes, and stop thinking. It’s as simple as that; meditation is simply a state of thoughtlessness. Your mind will wander, and when it does, just bring it back to a blank space. (If this idea seems daunting to try on your own, there are lots of free meditation apps out there which you can try.) If you can commit to meditation as a daily practice for 10-20 minutes, over time you will be able to push aside thoughts that distract you during performances, including anxious thoughts. Find a quiet space and lay down with your arms naturally at your sides and legs fully extended. Close your eyes. Prepare with three slow, deep breaths. As much as possible, focus all of your attention on the task at hand; don’t let your mind wander. Tense your forehead muscle, holding it as tight as you can for about five seconds. As you do this, inhale and hold the breath while the muscle is tense, and then exhale and breathe normally as you let the muscle relax. Enjoy the relaxed position for about five seconds. Repeat the above process with the following muscle groups: your face/cheek muscles, neck muscles, shoulders (pull them up and tight), back muscles (pull your shoulder blades back and in), abs/stomach muscles, arms and hands (make a fist while you do this and tense it all the way down to the fingers), glutes, thighs, calves, and then finally feet. Acceptance is a final and critical step in learning how to overcome stage fright, as resistance will only make a problem grow stronger. It’s important that you stop criticizing or judging yourself for having fears or challenges on stage, as it is one of the most common types of anxiety, and you are definitely not alone! Acceptance is not declaring that stage fright is “just a problem you have” and that you’ll have to deal with it for the rest of your life. Acceptance is realizing you have some uncomfortable symptoms that are occurring and allowing the process of change to unfold, even if the process is difficult. Acceptance is allowing setbacks to happen, refraining from self-criticism when they do, and celebrating the small successes along the way. Public speaking and performances of all types continue to be the number one fear of most adults. By reading this article, you have embarked on a journey that very few are brave enough to take – congratulations are due just for starting! Your reading has given you initial tools for understanding what stage fright is, how you experience it personally, how your past is affecting your present, and beginning to learn how to deal with stage fright. Performing is one of life’s great joys and you too can enjoy sharing your unique gifts and stories in front of an audience, free of fear, paralysis, or uncomfortable feelings. Don’t give up, and remember that psychological change is a gradual process. Good luck, and happy performing! What are some of the ways have you learned how to overcome stage fright? Let us know in the comments! So your son or daughter has started taking music lessons. You found a kind and knowledgeable teacher, set up a lesson schedule, and bought an instrument. Your kid is motivated to learn and everything is off to a great start! But don’t rest on your laurels just yet: No matter how excited your child is initially, there will come a point in time when they simply doesn’t feel like practicing. And this may leave you feeling frustrated not only by their lack of motivation, but also by the time, effort, and financial investment you’ve made in their music lessons. To help you avoid the endless battle of wills and keep you from pulling your hair out, we’ve assembled a toolkit of strategies to help you motivate your child to practice. Think back to when you were in school. You had your academic classes and your after-school activities. You knew your daily routine: Math, English, Science, etc. Then after school: homework! With so many different school subjects and assignments, it’s no wonder adding time to practice music can seem like a burden to a kid. That’s where you can help shift your child’s mindset. It’s up to you to help your child see music in a different light! Rather than treating music like yet another homework assignment, create a distinction so your child sees music as something he or she wants to do. The best way to shift your child’s mindset is to let him or her play an instrument they’re actually interested in and excited about. If your child views music as a forced discipline, like math or history, it won’t be fun. Practicing music should feel like play, not school work. If that’s not happening, that might be a signal that it’s time to switch instruments. This also means you may need to be flexible. While it can be expensive to allow a child to start and stop several different activities, try to work with him or her to find one he or she enjoys and is intrinsically motivated to practice. It’s no secret that when we’re told to do something, we sometimes will not want to do it. From the moment they first wake up, kids have parents, teachers, siblings, coaches and others telling them what to do all day. Add music to the list of directives and it’s no wonder motivation seems to dwindle! Combat this problem by putting your child in control. Let them determine the practice schedule, that way they’re more likely to stick to it. Start with the end in mind: your goal is to get your child to decide that they need practice in order to play the way they want to play. Once they decide this, you can help them research and figure out how often a good musician practices. Your child can then set a schedule based on the reality that, to be a good musician, you need to practice. Not only will this approach allow your child to feel a sense of control, it will also help them to learn the value of practice. 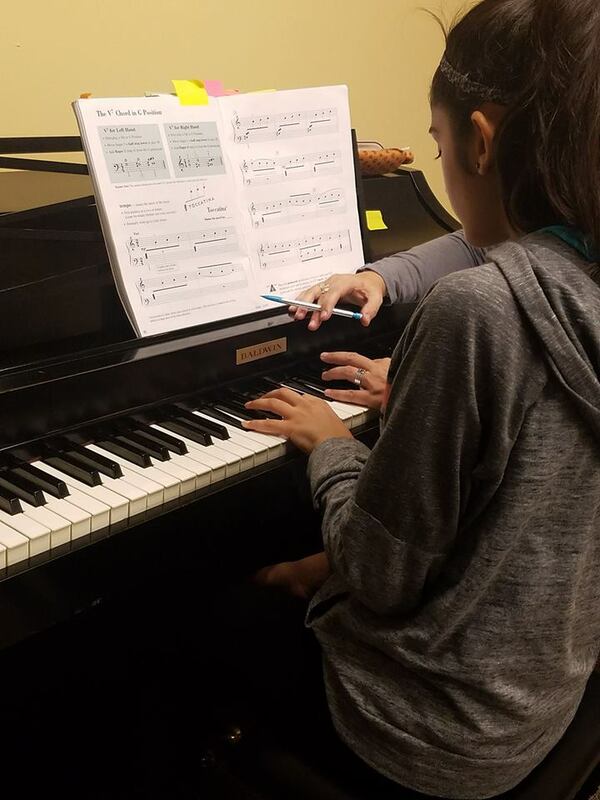 North Main Music founder and director, Mike McAdam, recommends that parents and students start thinking about music practice as doing a series of repetitions. So instead of saying “Go practice for a half an hour,” you could say go play your piece three or four times. Mike also recommends that people who are looking for new ways to motivate themselves or their kids to practice their music read The Practice Revolution. According to Mike, “It’s a good book and sort of break some of the molds that are traditionally taught with music instruction." You may be thinking, “Yah, sure, but will they really stick with this day to day?” Let your child make the schedule, but it’s up to you to reinforce it--you may have more weight in your reminder. One way to reinforce the schedule would be to set rewards for accomplishing little goals along the way. For example, “If you practice every night this week, we can download that song you’ve been asking for.” Reward the work. Teach your child to appreciate music and all the possibilities it has to offer. Playing a musical instrument is a privilege and an opportunity that isn’t available to everyone. Taking music lessons not only expands your mind, at North Main Music, it plugs you into a music community where you can perform at student concerts, participate in bands, and connect with new friends you may not have met otherwise. You can also help your child develop a love for music by taking them to shows, playing music at home, and being supportive of their musical interests and tastes--even if they’re different from yours! Many adults wish they had stuck with a hobby or endeavor they started as a child, such as playing a musical instrument. While this can be a difficult concept for young kids to grasp, teaching them to appreciate music can help them understand why practice is important. These are just a few ways that parents can help their kids understand the value that musical ability brings to their lives and to society. This one may seem a bit counter-intuitive, right? After all, you’ve invested the money in an instrument and lessons, and you want your child to make the most of it. Plus, if kids wants to achieve their musical goals, they needs to practice! The trick is to not make practice feel like an obligation when compared to other fun activities. For example, if your kid loves to play video games and you don’t allow them to do this until after completing practice. Using a fun activity as a reward creates the mindset that practice is the obligation that stands in the way of fun, and this could create resentment or dread for practice. It reinforces the notion that playing piano is not fun and video games are fun. When it comes to a sport, hobby, or endeavor, it’s important to keep your eye on the prize. 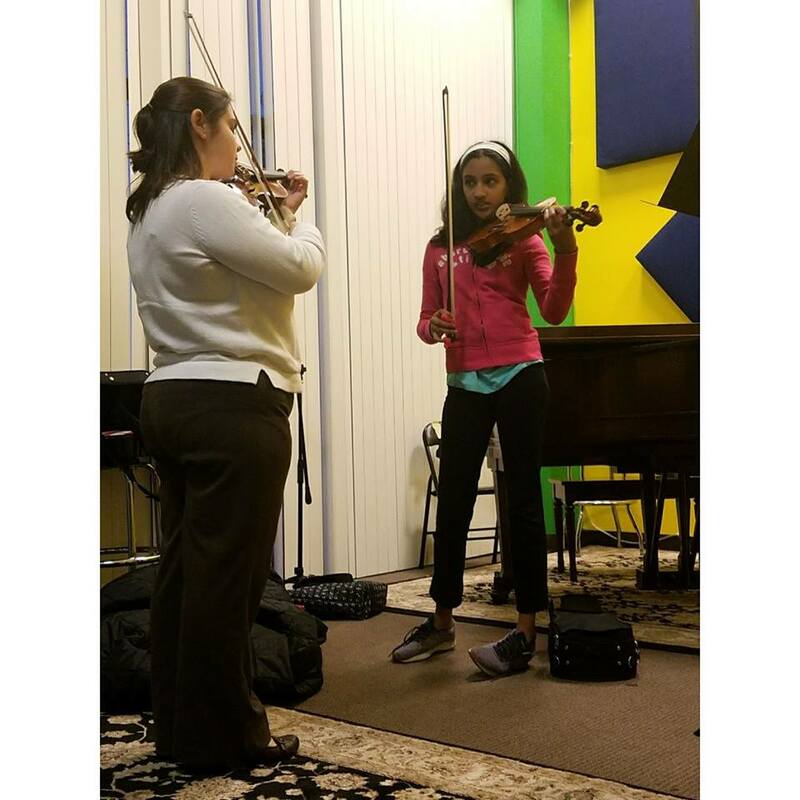 The same principle applies when it comes to your child learning an instrument; they have to keep their goal in sight, otherwise, they may question the need to practice. At North Main Music, we offer students multiple opportunities to perform in front of an audience throughout the year, such as our biannual student concerts, rock shows, band performances at community events, and more. These planned performances foster a growing curiosity and excitement about music in children’s lives and keep students engaged and motivated. Performances not only help to increase excitement, they also work to hold children accountable. Ask any music teacher — even the most unmotivated student will be more likely to practice if it means avoiding being unprepared and embarrassed at a concert! Just because you loved playing piano as a kid doesn’t mean your child will love playing it, too. Your child may have other interests, and it’s important to allow them to explore different endeavors and follow their own path in life. It’s critical that a child choose the instrument they’re going to learn. If an instrument is thrust upon them, then practicing it will also be thrust upon them. Letting them choose the instrument turns this on its head, and in your favor, even if they did not choose an instrument you would have wanted them to play. Let your child know you’re their biggest fan, especially early on when your child may feel frustrated or discouraged. Listen to your child at home as often as you can and make encouraging remarks about their progress. Also, make sure to ask them how their lessons went. Take a genuine interest in your child’s musical journey. Your child will be excited to play for you and show off new skills! Your child is more likely to practice music if he or she feels connected to the process. Help your kid develop an interest and curiosity for music. To help them stay engaged, become a part of the process. Whatever you can do to get involved is likely to increase their interest and motivation. Let your child play around with different instruments. Listen to music together. Your child will naturally want to imitate you, so a big motivation for children to practice is seeing their parents engage with music themselves. Instead of telling your child to practice, help them set specific goals and challenges. This will help them progress faster because they’ll work on accomplishing specific tasks or mastering particular skills. This idea can be applied to any instrument. 12. Celebrate *All* AccomplishmentsLearning to play an instrument is a long journey full of peaks, valleys, and plateaus. While you’ll definitely be proud when you watch your child perform, it’s equally important to celebrate the small victories along the way. While verbal praise is important, you may also want to create another way to celebrate achievements; for example, you could keep a journal or scrapbook of your child’s accomplishments. Another option could be to keep a whiteboard on the fridge, or make a chart that you can display and update when they reach a goal or overcome a challenge. 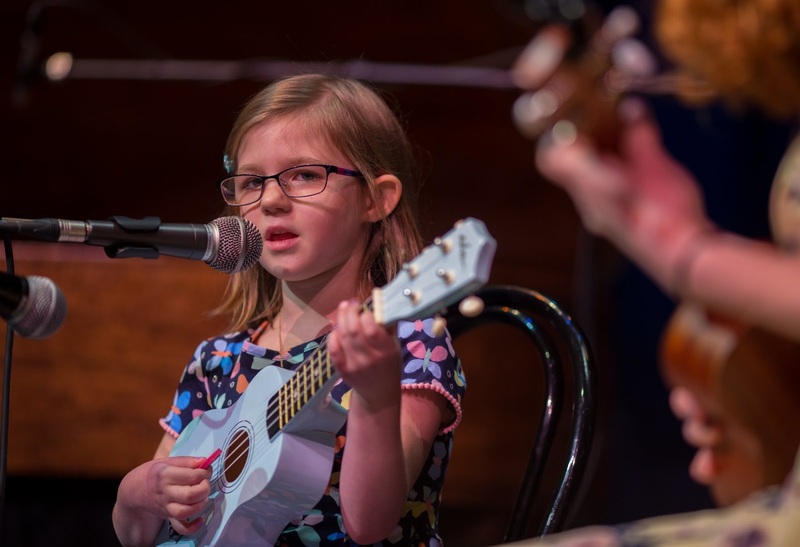 While there are certain signature songs and classics for various instruments, your child will lose interest if he or she doesn’t like the music they’re playing. Around age 10, sometimes younger, kids start developing preferences for musical styles, largely influenced by radio, television, and their peers, so be sure to work with your child’s teacher to make sure your child is playing some music they truly enjoy. This can be used as a motivational strategy; encourage them to learn and play at least one of their favorite songs as part of their weekly routine. This should come as no surprise — no one wants to practice when it’s boring! Incorporate fun games, activities, and challenges, and your child will look forward to practice! Very few children are self-motivated in their music practice and most need incentives and reminders to keep them focused and moving forward. At North Main Music, you are always welcome to ask your child’s teacher for some creative ways to make practice more fun! 15. Find the Right Teacher for Your ChildThis brings us to our final strategy and one of the most important: find the right teacher for your kid! Yes, practice is done outside of lessons, but if your child connects with their teacher, they’re much more likely to take direction willingly and practice consistently. Finding the right teacher will make or break the whole music lesson experience. Don’t be afraid to try a new teacher if your child isn’t connecting. The best teachers are usually the ones who not only teach, but know how to be a good friend and mentor to your child. 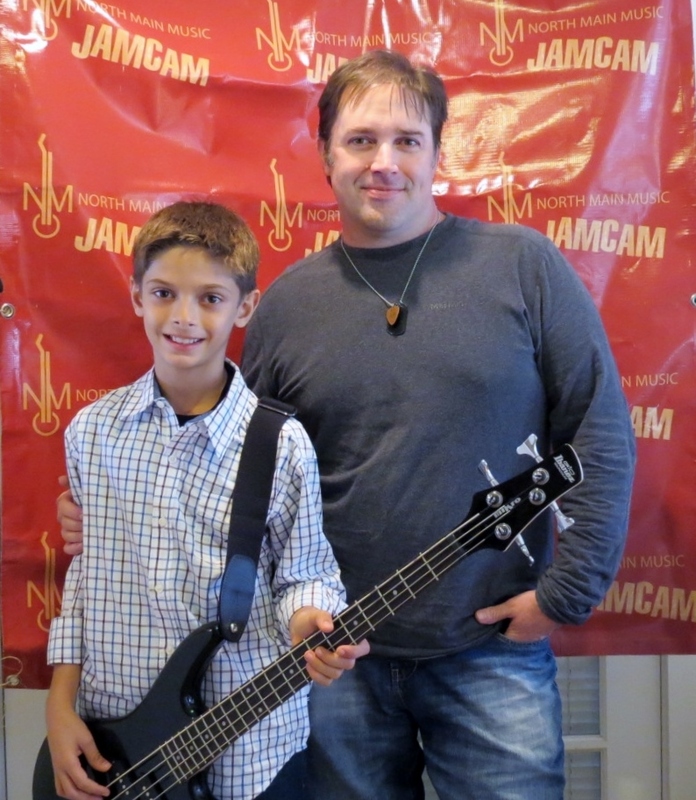 At North Main Music, we encourage new students to review the instructor bios and videos on our website and to sign up for an introductory lesson to get a better feel for whether or not a teacher is right for you. What has worked for you in terms of helping to motivate your child to practice? Share your insights and tips in the comments below! This article was adapted from and inspired by this one on takelessons.com. Feeling nervous about an upcoming performance? It’s a completely normal feeling! Getting used to being in the spotlight takes time. Learn how to sing with confidence using the tips in this article. How often do you listen to your favorite bands and pop stars and imagine yourself in their place, singing to an adoring crowd? Lots of people dream of unleashing their inner rock/pop star, but few actually take the bold step of doing so in real life. It takes a lot of courage to learn how to sing and, whether you’re an experienced performing artist or planning your on-stage debut, it’s always helpful to practice a few tips and tricks that will help make your performance the best it can be. It’s natural to get nervous or feel overwhelming anxiety before you perform. This simply means that you care about what you’re about to do! The problem is, anxiety tricks your body into a fight or flight state—your heart beats faster, your breath quickens, and your muscles tense up. When this happens, find a quiet place, close your eyes, and take a slow, deep breath. Hold it in for 10 seconds and then let it out. Repeat 2-3 times until your heart rate slows. A shorter version of this is helpful on stage, too. Take a second before your song starts (your audience won’t mind a 5-second delay) to center yourself and it will make *all* the difference. Think of practicing as an insurance policy for you voice--the more you practice, the more you know your voice. The more you know your voice, the more confident you are singing in any situation. Preparation is the backbone of self-confidence. Well ahead of your performance, think about your strengths and weaknesses, and work with your voice teacher to create a plan so that you feel fully prepared. Fumbling around with your instrument? Practice your piano or guitar parts until they become muscle memory. Worried about forgetting lyrics? Hand write them over and over until you don’t have to think about them. Not feeling vocally consistent? Break down the issue with your instructor in lessons leading up to the performance. Feeling like your song just isn’t clicking? Workshop them with a mentor or fellow musician. At North Main Music, we host Performance Workshops a couple of weeks before our student concerts, to give performers an opportunity to test out their song ahead of time and get valuable feedback from the workshop facilitators and attendees. Most importantly, be sure to warm up your voice on performance day! You may have heard the quote, “If you can dream it, you can do it.” When applied to singing, the same rings true! We often hear this voice in our head when we first start singing that sounds much different than the voice that actually comes out. When applying the building blocks in practicing scales, exercises, and simple tones and in mastering them one step at a time, we then feel comfortable enough to take risks in the creation and formulation of new exercises. If you hear something in your head, but don’t know exactly how to create the sounds, try anyway. Taking risks in singing means stepping into uncharted waters of sound and testing all of the different sounds available to you. This can be as simple as humming a line to your favorite song out loud. Connect with your song and your purpose, and the audience will feel you. Whether it’s a cover song or an original, we must remember the emotion, experience, or memory that brought us to the song in the first place. As singers, we’re often performing the same song over and over. It’s easy to fall into a routine and go through the motions, but your audience will see right through this. There’s nothing worse than watching a performance and the singer is clearly just phoning it in. No matter how many times you’ve sung a song, dig deep each time and remember *why* you wrote these words or *why* you were drawn to this particular song. Find that emotion and use it to express yourself—That is your job as a singer. For one song, you’ve got 2 to 4 minutes on stage, so make the most of it! If you spend the entire time rushing through, or focused on what could go wrong, you’ll miss the magic. Be present for these moments, enjoy being on stage and connecting with your music and your audience. This is what being a musician is all about! When it comes to voice lessons, it takes patience, practice, and a little bit of risk-taking! Ultimately, you are the captain of your own ship. Learning how to sing is an art and a balance of all of the above tips and advice. With the combination of all of them, you will find yourself well on your way to singing even more vibrantly and confidently in no time. Want to put these tips to the test? Then sign up to sing at our next Student Concert! Talk to your instructor or stop by the front desk to learn more.